What a long slow spring it's been. 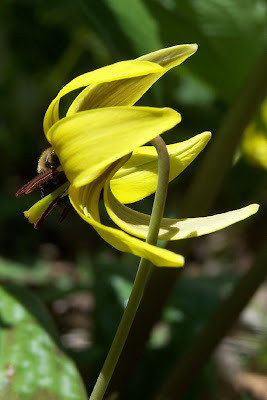 Our bees have been buzzing around the few flowers that are out looking for anything they can find. This is a photo of a bumble bee in a trout lily. We feel a bit like the bees as we bundle up and sit outside in the sun even though we're shivering. The first bonfire of the year was just what we needed to toast us up. We've been thinking a lot about a healthy alternative to marshmallows. It's so much fun to roast something over a fire but the GMO corn syrup isn't one of our favorite things to ingest. I did plant some marshmallow in the garden last year so maybe I can try making my own from the actual plant. Here's what I found when looking for recipes. I started teaching workshops this year. Click here to go to our Facebook page with a list of all the workshops. I've scheduled one a month from spring until fall. The first one was a soap making one in April and it was lots of fun. We made mint soap. My next workshop is May 5 – Wild Crafting for medicine and food – What to eat and what to avoid. Learn which wild plants are ‘choice’ delicacies and which are just for looking at. We’ll discuss how best to preserve the plants and try out some recipes like wild pesto and nettle soup. I'll teach how to make tinctures, oil infusions and how best to dry herbs. We'll work with using field guides to identify plants. I've signed the kids up for a herb course this year that's called Herb Fairies. It's by the lovely folks at Learning Herbs. We bought their board game Wildcraft for the kids for Christmas and it's really inspired all of us to learn more about the plants that grow wild all around us and are useful in so many ways. 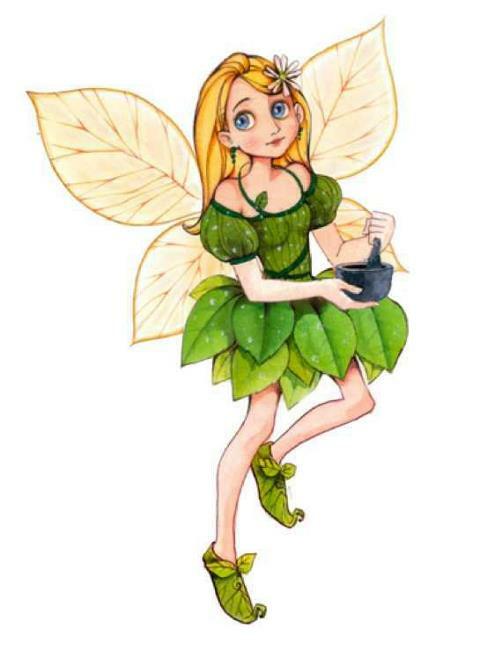 This is a picture of the first herb fairy from the course - Stellaria. That's the Latin name for the common weed Chickweed. They get an illustrated ebook about a different herb fairy each month. There are activities and recipes and colouring sheets. It's been very exciting for all of us. My solar herb dryer project got put on hold over the winter but I am ready to go with all the parts for the greenhouse now. 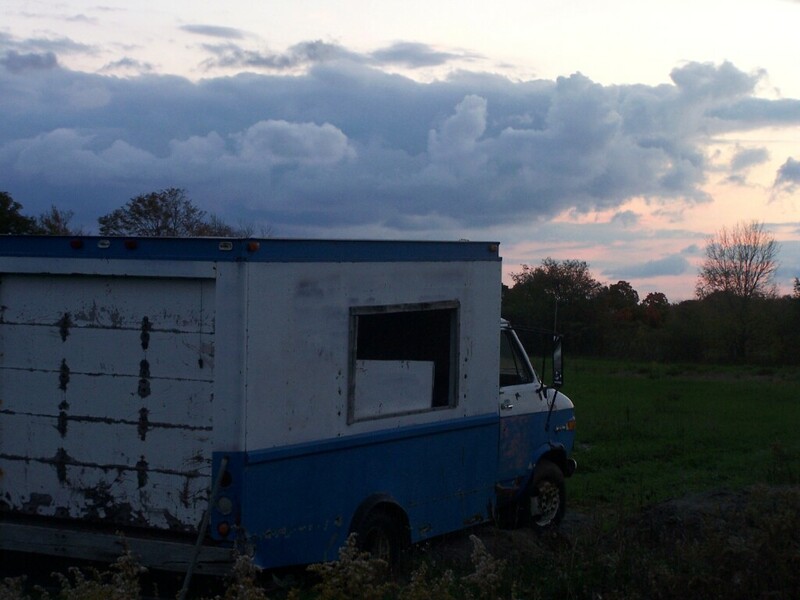 I'm building a small greenhouse off of this old blue and white food truck. The idea is to dry the herbs on wire racks in the truck box and use the greenhouse to heat it up in there. Air flow is key when drying herbs so I'm making vents from the greenhouse into the truck and installing roof fans on the truck to draw the hot humid air out. I'm hoping to not have to use any electricity to power the fans but rely on the convection action of hot air rising to turn the fans. My original idea was to use recycled windows to build the greenhouse but I was worried about the truck shifting over time and cracking the glass. I decided it would be safer and quicker to build a plastic hoop house instead. It may not look as nice but I'm planning to make it work. The big news this year is the opening of our new Farm Store!!! We plan to open June 1 and keep the store open until the end of October. We'll be open 9-5 Wednesday - Sunday. We're working hard to beautify the place in time. We'll celebrate with a Grand Opening on Sunday June 9. This will be a day long tea party with honey tasting, home made scones, garden tours and more. Since I don't have a photo of what our farm store will look like, I'll give you this photo of our booth at the Wychwood Green Barns farmers' market. We'll still be at the Brickworks and Green Barns farmers' markets each Saturday year round.